The recent case of A Local Authority v G (Parent with Learning Disability)  EWFC B94 has highlighted the importance that all families in which one or more of the parents has a learning disability are given the support that they require to be able to care for their children. However, the judge in this case found that this obligation does not extend to support that is tantamount to substituted parenting. In A Local Authority v G (Parent with Learning Disability), in which judgment was handed down by HHJ Dancey on 18 December 2017, the court was predominantly concerned with two children K and T, aged 3 and 19 months respectively (the living arrangements for the eldest child, A (aged 12) having been agreed outside of the family). The local authority's application was for care and placement orders in respect of both children, which was supported by the guardian. The parents opposed the orders sought. The mother of the children had a mild learning disability with an IQ of 57 and was partly deaf in both ears. The mother's learning disability directly impacted upon her ability to care for the children unaided and to be able to undertake daily tasks without assistance. The mother required continuous support to meet the children's needs. She was unable to undertake many tasks unprompted. She was unable to tell the time and she did not know when to feed the children. She could not cook the children meals unassisted. She had also suffered some difficulties with depression. The father did not have any disability and was registered as the mother's carer. He too had suffered with depression over a number of years. The court was tasked with deciding whether the children could safely be returned to the parents' care under either a child arrangements order with a supervision order or a care order, or whether their welfare demanded that they be placed outside of the family for adoption. The local authority's concerns were of chronic neglect. The court found that the home conditions were 'unacceptably cluttered and unclean with numerous choking and other hazards for the children'; the parents were not 'attuned to the children's physical or emotional needs', the children had at times been 'unkempt and dirty'; K and T had been left in full and/or sodden nappies; the children had on occasions been inappropriately dressed; there was rough handling on two occasions by the mother; inadequate supervision by both parents of the children causing the children to suffer accidents and come to physical harm; and the children lacked a consistent routine. HHJ Dancey also found that the eldest child A, had taken on (and was asked to take on) responsibilities of K and T which were unreasonable. On behalf of the mother, the local authority was heavily criticised for its lack of appropriate support provided to her in the light of her learning disability needs. The mother's case was, in essence, that the local authority and the adult learning disability team had let her down by their failure to follow the Good Practice Guidance on Working with Parents with a Learning Disability (updated September 2016) DoH/DfES and consequently had failed to provide her with timely and appropriately tailored training. It was accordingly submitted that the assessment was therefore unrealistic and the mother had not been given a fair and appropriate opportunity to be able to improve her parenting skills. On the mother's behalf it was submitted that this put her at a significant disadvantage compared to parents without learning disability and had over-burdened the father by requiring him to support the mother and impacting on his ability to care for the children. i) Services need to help enable children to live with their parents (as long as this is consistent with their welfare) by providing the support they and their families require. This accords with the general duty of local authorities under section 17(1) of the 1989 Act to provide a range and level of services to safeguard and promote the welfare of children in need and their upbringing by their families (insofar as it is consistent with their welfare). "... If the problem is seen as entirely related to impairment and personal limitations, it is difficult to understand how to bring about positive changes for parents and their children. • access to independent advocacy. The judge also gave consideration to Kent County Council v A Mother  EWHC 402 recognising (a) that parents with learning disability need to be supported and enabled to lead their lives as full members of the community, free from discrimination and prejudice, (b) a wider acceptance that people with learning disability may in many cases, with assistance, be able to bring up children successfully, (c) the need for professionals working with families and children to be trained to recognise and deal with parents with learning disabilities and (d) the need for Government Guidance to be followed. j. it was unfortunate that, as in many cases, these parents have had to deal with a number of different social workers, five in this case – that has an impact both on the need for vulnerable parents to re-build new relationships with professionals before and during stressful proceedings and professionals' continuity of knowledge and experience of the family. The judge was acutely alert to the importance of upholding the rights of the mother. This was evidenced not only by the comments and findings within the judgment but also the way in which the case was conducted. Ground rules were considered before the final hearing and at regular times during it with specific reference to the mother's needs as advised by an intermediary. The mother had the assistance of two lip-speakers, an intermediary and a supporting advocate throughout the three week hearing. Advocates and witnesses were encouraged to speak in short sentences using simple words and dispensing with legal and social work jargon. Regular breaks were taken throughout the day, which increased during the mother's evidence. The mother was allowed to give evidence from her seat where she had been sitting throughout the hearing and was supported by her intermediary and visual aids, including cards that she could use to indicate if she did not understand or needed an additional break. Regular checks were made to ensure her understanding. The judge's approach highlighted not only the importance of ensuring the mother was able to understand and participate in the proceedings, but also amplified the inadequacies of the work done by the local authority in terms of the training and support provided to the family as well as the assessments undertaken. Despite the judge's assessment of the strength of the arguments put forward on behalf of the mother, he formed the overall view that they were not sufficient in themselves to justify a return of the children to their parents' care. The reasons for this were that the mother would need such a package of support that it would amount to substituted parenting. The father could not bridge the gap. He had not done so to the point when the children were removed. The judge found that the father had not understood in any real sense the limitations of his wife's ability to care for the children to the extent that on a number of occasions he left the mother on her own to care for the children without support. HHJ Dancey said he has not internalised the local authority's concerns, particularly around supervision or the need to change even now. The judge identified a number of positives in the parents including their willingness to engage and accept help and support, but said that unless they have a good enough understanding of why they need to change and what they need to do, the prospects of achieving real and necessary change are remote. Furthermore, the judge was satisfied that K and T needed attuned parenting that would repair the harm caused to them by neglect in their parents' care. He found that the parents were unable to parent at their level. He evidenced this on the basis of the emotional state of the children when removed from the parents' care and the improvements in their physical and emotional state since being in foster care. What can professionals learn from this case? This case highlights that it is essential that all professionals – legal advisers, social workers and guardians – are well versed in the Good Practice Guidance and the obligations upon local authorities to support families where one or both parents have a learning disability. m. If long-term support is required, identify it and set it out in detail clearly within in the care plan together with an explanation as to how this is sufficient or not to be able to provide the children with the level of care that they require. 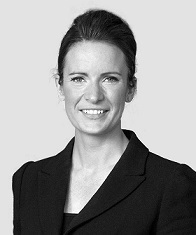 Emma Harman acted for the respondent mother in A Local Authority v G (Parent with Learning Disability)  EWFC B94.